Why Choose 7th Level for your FHA Mortgage Loan? At 7th Level Mortgage, our FHA loan programs have expanded guidelines for first time home buyers, for people with bad credit or previous poor credit scores in New Jersey, Pennsylvania, Delaware, New York, Florida, and Maryland. See how we can get you into a home using FHA loan programs today in NJ, PA, DE, NY, FL, and MD. An FHA insured loan is a US Federal Housing Administration (FHA) insurance backed mortgage loan which is provided by an FHA-approved lender. FHA insured loans are a type of federal assistance and have historically allowed lower income Americans to borrow money for the purchase of a home that they would not otherwise be able to afford. To obtain mortgage insurance from the Federal Housing Administration, an upfront mortgage insurance premium (UFMIP) equal to 1.75 percent of the base loan amount at closing is required, and is normally financed into the total loan amount by the lender and paid to FHA on the borrower's behalf. There is also a monthly mortgage insurance premium (MIP) which varies based on the amortization term and loan-to-value ratio. The FHA does not make loans. Rather, it insures loans made by private lenders, like 7th Level Mortgage. The first step in obtaining an FHA loan p[rogram is to contact several lenders and/or mortgage brokers such as 7th Level Mortgage and ask them if they are FHA-Approved by the U.S. Department of Housing and Urban Development to originate FHA loans. As each lender sets its own rates and terms, comparison shopping is important in this market. Second, the lender or broker ie. 7th Level Mortgage, assesses the prospective home buyer for risk. The analysis of one's debt-to-income ratio enables the buyer to know what type of home can be afforded based on monthly income and expenses and is one risk metric considered by the lender. Other factors, e.g. payment history on other debts, are considered and used to make decisions regarding eligibility and terms for a loan. FHA loan programs for buyers who don't meet a minimum 620 FICO score may be subject to higher mortgage rates. 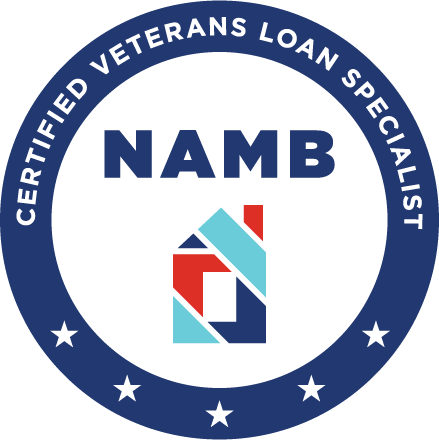 Although the FHA establishes minimum FHA loan program qualifying criteria for this type of loan, each lender that offers FHA financing may have stricter criteria or overlays. Not all lenders offer the same approval criteria so it is important to make sure you are dealing with a lender like 7th Level Mortgage, LLC. We do NOT restrict FHA credit criteria nor do we impose any overlays.For example, FHA will allow a borrower to qualify with a 55% total debt to income ratio. Most lenders have tightened their guidelines and will not approve borrowers with more than a 50% debt to income ratio. At 7th Level Mortgage, LLC, we follow FHA loan programs guidelines and give homeowners every opportunity to qualify with no restrictions or overlays to the program. Purchase – Why Choose An FHA Loan? Most prospective homebuyers seek to purchase a home using the FHA loan program for a variety of reasons. Mostly, first time home buyers and even repeat homebuyers will qualify under the FHA loan program because it has expanded qualifying criteria. FHA allows for a down payment of only 3.5% of the purchase price. Debt to income ratio’s are expanded to 55% instead of 43- 45%. Down payments can be gifted from immediate family members. Credit score requirements are lowered to a minimum of 580. There are shorter waiting periods, typically 2 to 3 years from a discharged bankruptcy, foreclosure or short sale. Seller’s can contribute up to 6% of the purchase price towards the closing costs. FHA loan programs are typically one of the easiest types of mortgage loans to qualify for because it requires a low down payment and you can have less-than-perfect credit. An FHA down payment of 3.5 percent is required. Borrowers who cannot afford a traditional down payment of 20 percent or can’t get approved for private mortgage insurance should look into whether one of the an FHA loan programs is the best option for their personal scenario. Another advantage of an FHA loan is that it can be assumable, which means if you want to sell your home, the buyer can “assume” the loan you have. People who have low or bad credit, have undergone a bankruptcy or have been foreclosed upon may be able to still qualify for an FHA loan. Annual MIP (charged monthly) —Called an annual premium, this is actually a monthly charge that will be figured into your mortgage payment. It is based on a borrower's loan-to-value (LTV) ratio, loan size, and length of loan. There are different Annual MIP values for loans with a term greater than 15 years and loans with a term of less than or equal to 15 years. Loans with a term of greater than 15 Years and Loan amount < or =$625,000. Example (for LTV less than 95 percent on a 30 year loan): $300,000 loan x 1.30% = $3,900. Then, divide $3,900 by 12 months = $325. Your monthly premium is $325 per month. The Mortgage Insurance will be in your payments for the entire loan term if your LTV is >90%. 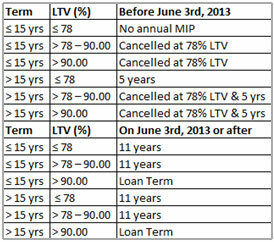 If your LTV is = or < 90%, the Mortgage Premium will be for the mortgage term or 11 years, whichever occurs first. Single family home mortgages with amortization terms of 15 years or less, and a loan-to-value (LTV) ratio of 78 percent or less, remain exempt from the annual MIP. Typically you must be three years out of foreclosure and have re-established good credit. Exceptions can be made if there were extenuating circumstances and you've improved your credit. If you were unable to sell your home because you had to move to a new area, this does not qualify as an exception to the three-year foreclosure guideline. For homebuyers with less than perfect credit or a smaller down payment, an FHA loan can be the solution to financing your new home. Here is what you need to know about the FHA loan program as you start your financing journey. An FHA-insured loan is a U.S. Federal Housing Administration (FHA) insurance backed mortgage loan provided by an FHA-approved lender. These loan programs provide a type of federal assistance that allow lower income Americans to borrow money for the purchase of a home. To obtain this mortgage insurance from the FHA, an upfront mortgage insurance premium (UFMIP) equal to 1.75 percent of the base loan amount is required at closing. This premium is normally financed into the total loan amount by the lender and paid to the FHA on the borrower’s behalf. As part of the program, a borrower will have a monthly mortgage insurance premium (MIP), which varies based on the amortization term and loan-to-value ratio. It is important to keep in mind, however, that the MIP will be part of your monthly mortgage payment and may impact how much house you can afford. The duration of your annual MIP will depend on the amortization term and LTV ratio on your loan origination date. Your new home will also have to meet certain conditions and be appraised by an FHA-approved appraiser. This loan program can offer benefits to those who need assistance in making a first-home purchase. It is important to weigh the additional costs that come with the MIP as you decide if an FHA loan is right for you!